This weekend’s storm is a typical late season snow event. 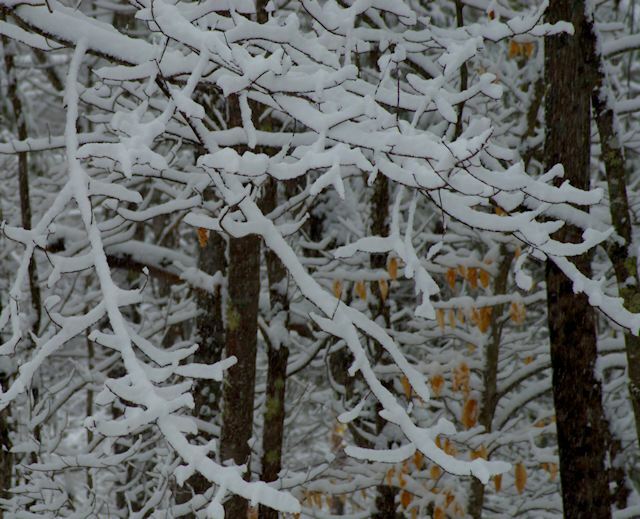 Mild temperatures and high humidity combine to give us heavy, wet, and sticky white stuff. 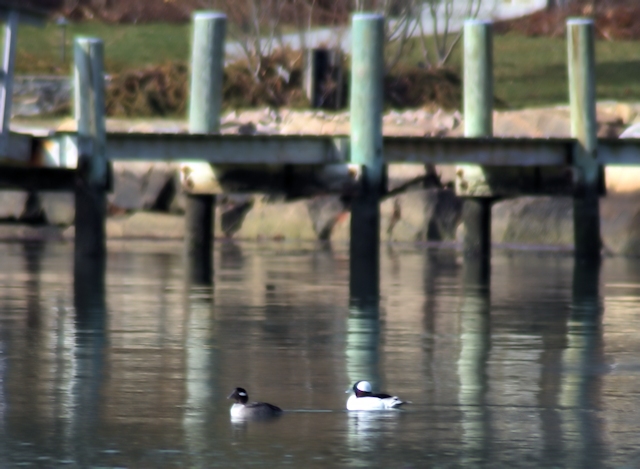 Here is an unusual sight: a pair of bufflehead ducks cruising along the Connecticut coast. This species spends their summers in western Canada but winters along the entire North American coastlines. 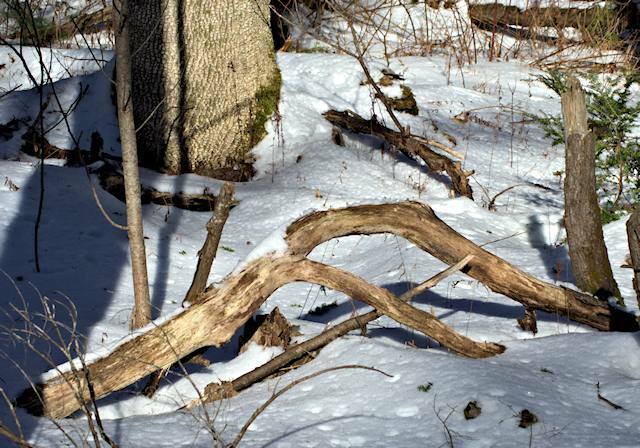 A remnant of the forest lies among the sea of snow like drift wood on an ocean swell.